Great Performances was honored to partner with Food Network & Cooking Channel New York City Wine & Food Festival for the 11th year in a row and support Food Bank For New York City and No Kid Hungry. This year’s festival also marked 11 years that we have partnered with NYCWFF as the official caterer, as well as providing kitchen resources, staffing, planning, execution and design services throughout the festival weekend. 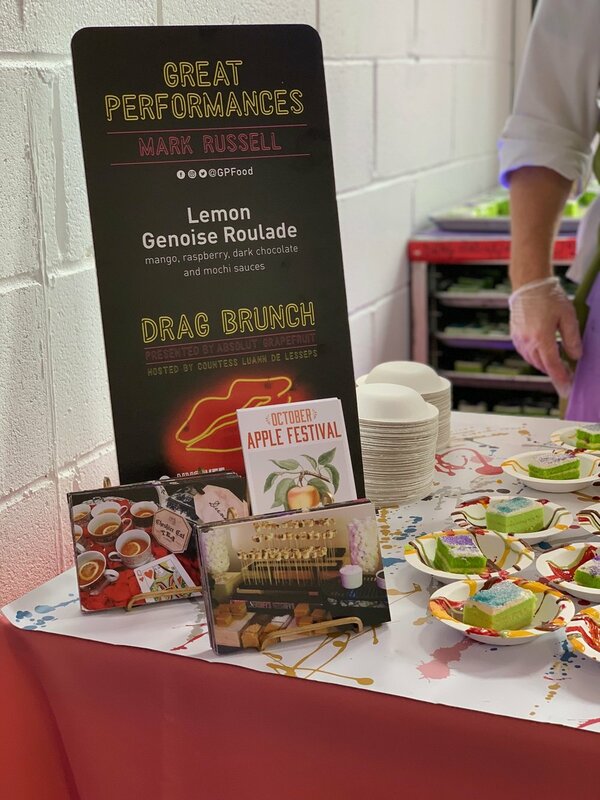 This is always an exciting weekend for us, and we were happy to be directly involved with many events such as the Chrissy Teigen Book Release Party, Tacos & Tequila, Food Network’s 20th Birthday Party, Drag Brunch, The Grand Tasting, Backyard BBQ, Broadway Tastes, Yappie Hour and more. We are still reeling in excitement from all of the behind-the-scenes action with Chef Lish Steiling from GDL Foods and Chef Miles Landrum from Johnny Sanchez New Orleans prepping in the GP Kitchen, as well as our Design and Culinary teams prepping around the clock for numerous events. Thank you to everyone involved for your hard work and for making NYCWFF 2018 a weekend to remember! Not All Heroes Wear Capes: How Sous Chef Ira Brown's Quick Thinking Saved the Day!